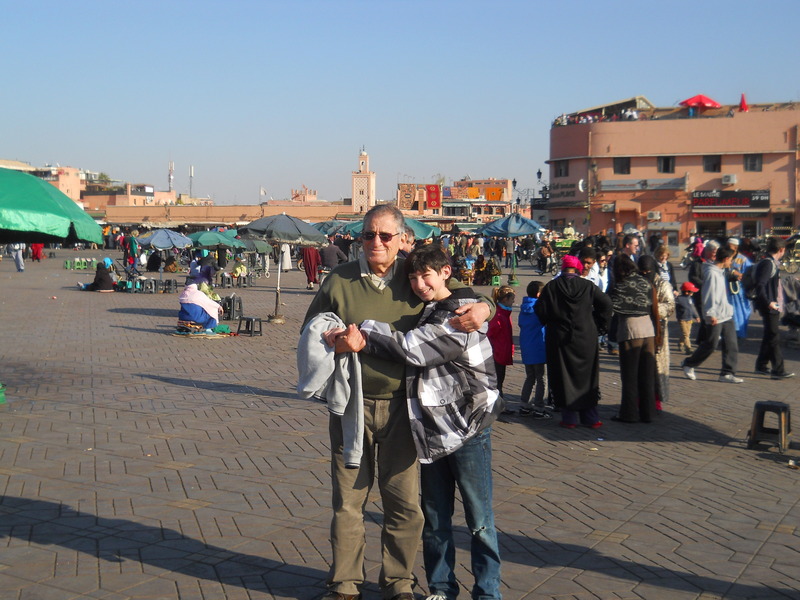 We were fortunate to make a quick 2 day stopover in Marrakech. It is one of those places I’d always wanted to go to as it has a certain allure few other places in the world do. 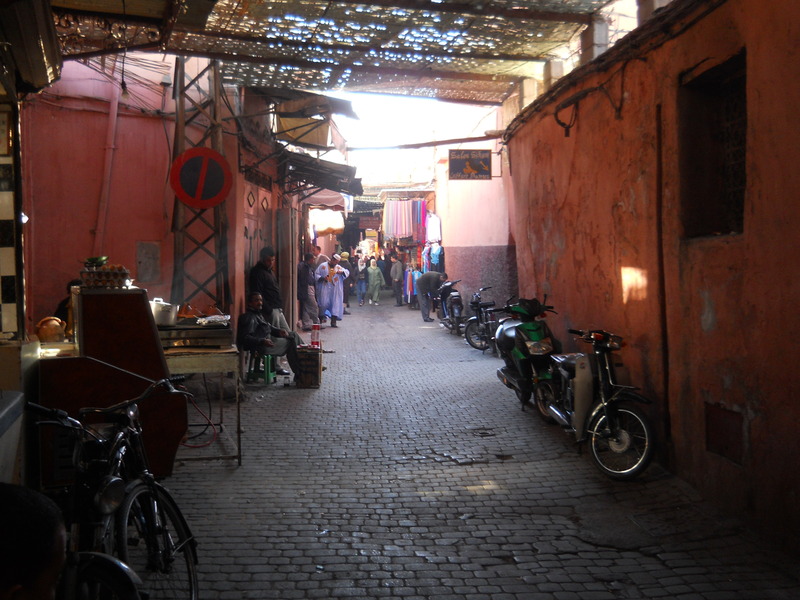 We stayed in a riad right in the middle of the old walled city, the medina. 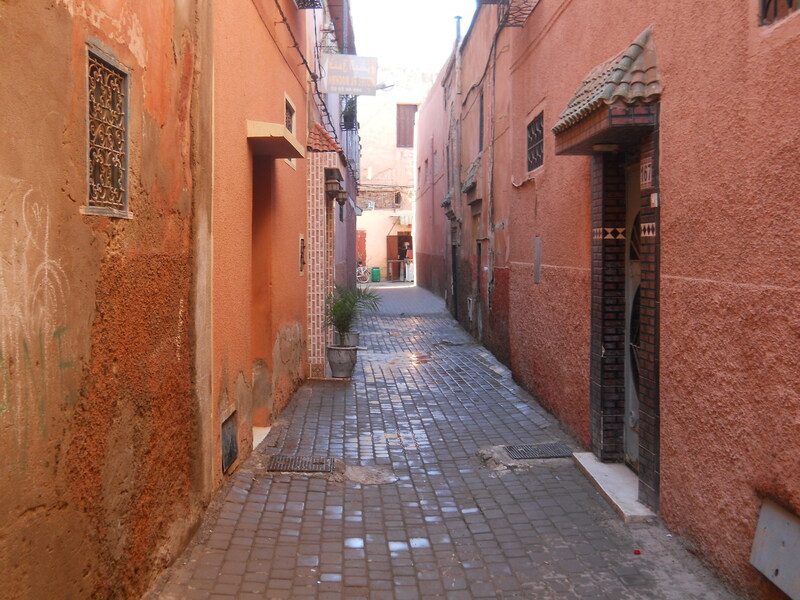 At first we were a little wary at venturing too far from our riad – not because of safety (the city felt incredibly safe at all hours) but because the medina is such a jumble of alleyways that we weren’t sure we’d ever find our way back again. Yet after a little bit of adventuring and discovering, we realized we were pretty good at finding our way around. Two days isn’t really enough anywhere but such is the throbbing non stop activity of Marrakech that it actually felt enough. Roaming the streets and back alleys of the souk is incredible – it goes on and on forever- but a lot of the shops are pretty much the same so after a while it loses a little bit of its magic. However it is intriguing to see real life within those walls and alleys. The food is wonderful and if you tire of couscous and tajine, there’s plenty of Western stuff available as well. There are also many bakeries and it’s a treat just tasting a few different delicacies all over the place. We also did a walking tour of the city beyond the walls which is well worth doing – the medina can get a little claustrophobic after a while. 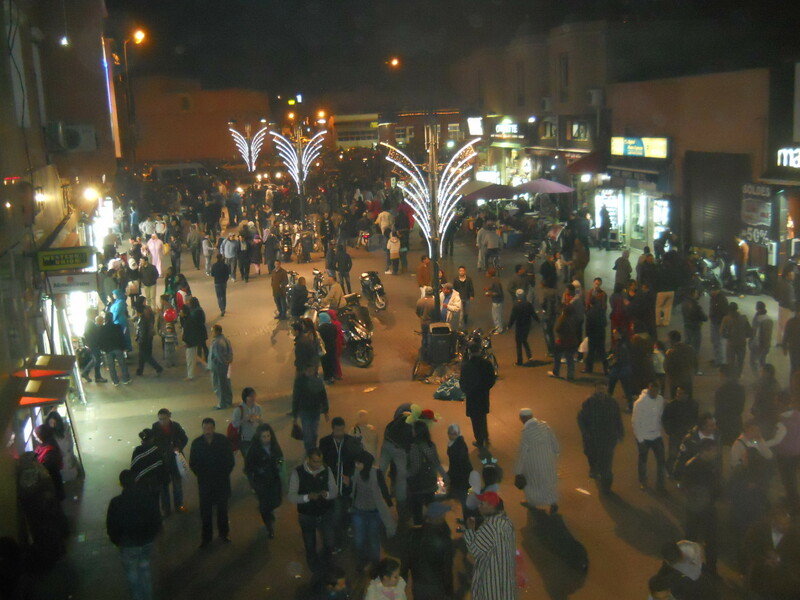 Then there’s the incredible Djema el Fna, the famous night market/street carnival/outdoors circus – you name it. 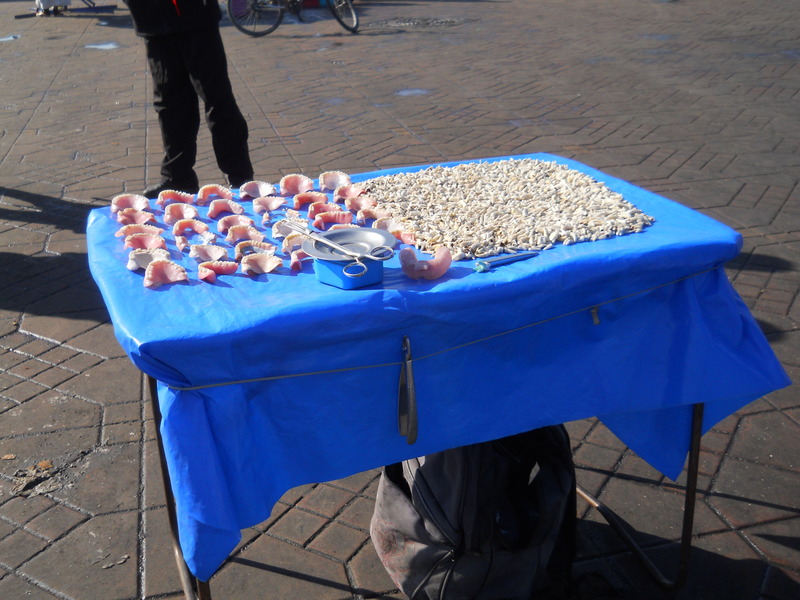 This is just a hive of activity of storytellers, restaurants, sellers of anything and everything, snake charmers etc etc. 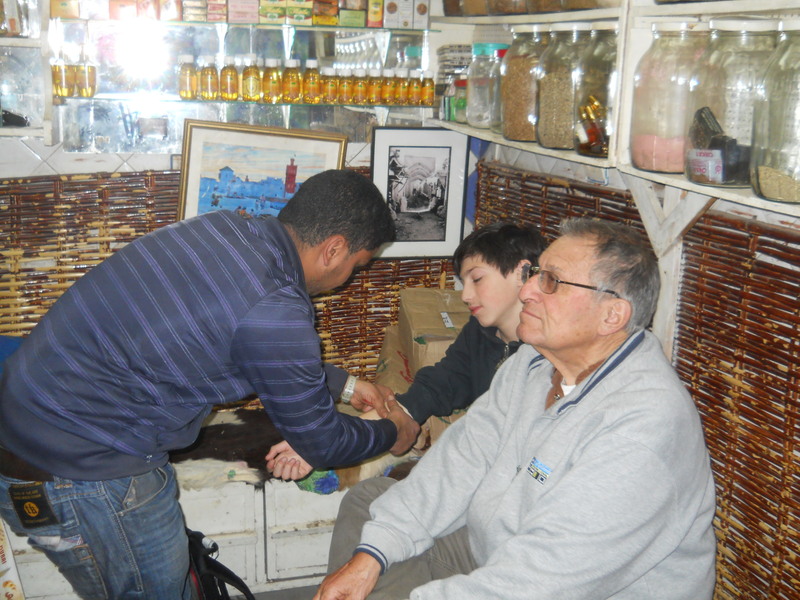 I got into a bit of trouble when I accepted a drink of tea at one stall (I don’t really like tea – I thought, naively, I was being polite) and then when I give it back after a couple of sips was hit up for a few dirhams. And then there was our one diabolical encounter. Entering the souk on the first afternoon, we were ushered into a medicinal shop, we we’re completely captivated by the shop owner, treated royally and then faced with a huge bill for the few items we had thought of purchasing. A rude awakening. 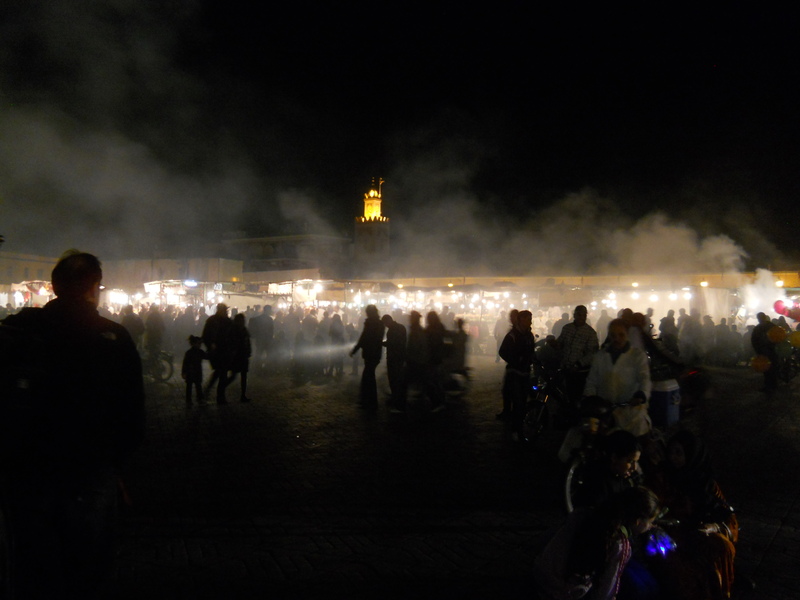 Marrakech is a great city, no doubt. It is a very fun place to take kids (I was with my father and my 14 year old son) but it can get a little much after a while. But everyone is so friendly and eager to help you if you have any problems or questions that you can’t help leaving with a smile and good memories.